The link between aldosterone and obesity is well established, and this can help encourage the use of mineralocorticoid receptor antagonists in patients likely to respond to this treatment. Currently, only 10 to 25 percent of eligible patients are prescribed these drugs, despite their clinical effectiveness. However, new research indicates that in patients with heart failure, markers of abdominal obesity – increased waist circumference – can help identify those who would respond favourably to this treatment. This is especially useful as, to date, there is no serum biomarker available for identifying the same patients. It is possible that patients with high abdominal obesity are likely to exhibit higher sodium retention and cardiac fibrosis, both as a result of increased aldosterone production, which may explain their higher responsiveness to mineralocorticoid receptor antagonists. The use of mineralocorticoid receptor antagonists (MRA) is well established since two decades ago and now it has an indication 1A for patients with heart failure (HF) and reduced ejection fraction. These data come from three pivotal clinical trials. The Randomized Aldactone Evaluation Study (RALES)(1), in 1999, showed that the addition of a modest dose of spironolactone to patients with HF with reduced ejection fraction (HFrEF) and New York Heart Association (NYHA) class III-IV provided a 30% improvement in survival and a 35% improvement in morbidity/hospitalization. The follow-up 2003 Eplerenone Post-AMI Heart Failure Efficacy and Survival Study (EPHESUS) trial demonstrated similar results with eplerenone (a selective aldosterone antagonist) among patients with myocardial infarction complicated by left ventricular dysfunction (2). The third pivotal MRA trial was Eplerenone in Mild Patients Hospitalization and Survival Study in Heart Failure (EMPHASIS-HF), which randomized 2737 patients with HFrEF and NYHA class II symptoms to either eplerenone or placebo, in addition to optimal medical therapy with angiotensin-converting enzyme inhibitors, angiotensin receptor blockers, and beta-blockers (3). At a mean follow-up of 1.8 years, eplerenone significantly reduced the rate of the composite primary outcome of cardiovascular death or HF hospitalization (18.3% vs. 25.9%; hazard ratio, 0.63). The number needed to treat (NNT) to prevent one primary outcome at one year was 19, and the NNT to postpone one death per year was 51. No further pivotal MRA trials have been conducted in HFrEF, but these outstanding studies had a profound early impact on guidelines. Despite these robust data, the percentage of patients receiving MRAs ranges between 20-60% in the best treated series. We have known for decades that, as expected, MRAs raise potassium levels, and this is the main reason to prevent physicians to use them. However, the only evidence-based advice we can give to doctors treating patients with HFrEF is to stick to the recommended frequency of monitoring potassium levels and maintain MRAs on board. Although the data discussed here on markers of abdominal obesity – increased waist circumference – is relevant and may be valuable to some physicians to help identify those who would respond more favorably to this treatment, our recommendation today is to provide the benefit of an MRA to all patients with HF and reduced ejection fraction. Pitt B, Zannad F, Remme WJ, Cody R, Castaigne A, Perez A, Palensky J and Wittes J. The effect of spironolactone on morbidity and mortality in patients with severe heart failure. Randomized Aldactone Evaluation Study Investigators. N Engl J Med. 1999;341:709-17. Pitt B, Remme W, Zannad F, Neaton J, Martinez F, Roniker B, Bittman R, Hurley S, Kleiman J, Gatlin M, Eplerenone Post-Acute Myocardial Infarction Heart Failure E and Survival Study I. Eplerenone, a selective aldosterone blocker, in patients with left ventricular dysfunction after myocardial infarction. N Engl J Med. 2003;348:1309-21. Zannad F, McMurray JJ, Krum H, van Veldhuisen DJ, Swedberg K, Shi H, Vincent J, Pocock SJ, Pitt B and Group E-HS. Eplerenone in patients with systolic heart failure and mild symptoms. N Engl J Med. 2011;364:11-21. Obesity is a well-recognised risk factor for heart failure, and the incidence of this problem is growing globally. However, it is unclear whether varying degrees of obesity or being overweight also pose a risk. Over the past decade many investigators have explored different links in order to understand the relationship between those two common health problems. Recently, Milton Packer, MD, published an interesting and provocative analysis  that looked at the main clinical trials using mineralocorticoid receptor antagonists (MRA) such as EMPHASIS and TOPCAT, where the study authors conducted sub-studies that looked at obesity in heart failure populations. In this paper, Dr Packer emphasised that despite their clinical benefits MRAs are greatly under-prescribed by most practitioners who treat patients with chronic heart failure. He then postulates a novel approach that encourages the use of these drugs by increasing awareness about the intimate link between aldosterone and obesity. 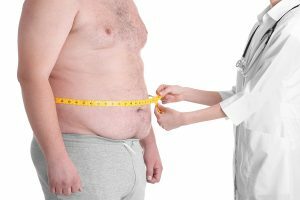 As has been replicated in other trials, the benefit was more than twice as great in patients with abdominal obesity than in those with normal waist circumference. This benefit was even more pronounced in patients with heart failure and preserved ejection fraction, where the incidence of obesity is higher compared with the population with reduced ejection fraction. The first group was more likely to demonstrate a benefit of treatment with spironolactone, identified by their level of natriuretic peptides, with an approximate 80% reduction of risk of a primary end point. Dr Packer concludes that biological and therapeutic evidence suggests that abdominal obesity may identify patients who respond most favourable to MRA. He also recommends that, given the availability of aldosterone measurement, targeting patients with an increased waist circumference could enhance the adoption of these important drugs for the treatment of chronic heart failure in clinical practice. This paper highlights new practical uses in the management of obesity and heart failure.